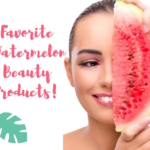 Summer Beauty Savers…make the glow last! It’s definitely too early to think about giving up a tan! Luckily, I’ve discovered Vita Liberata pHenomenal Self Tanner. 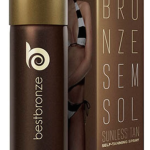 Of all the self tanners I’ve used, this is the one that I consider the best. This self tanner incorporates new technology that works to extend your tan, helping it to last 4 times longer than any other tan! I can’t say enough good things about it. It looks totally natural, is odor-free, plus, it dries super fast with no staining on your clothes. If you purchase, make sure to also pick up the Tanning Mitt–it makes application so much easier. If you prefer a more gradual approach or to boost your self-tan glow, NIVEA Sun-Kissed Radiant Skin Gradual Tan Moisturizer is an option for use after shower or bath. Apply as you would any other moisturizer and over several days, you’ll notice a gradual self-tanning effect. It’s a great way to incorporate building natural, gradual color. One thing you can’t fake is good skin. This summer, I’ve been using the new Clarisonic Deep Pore Detoxifying Solution as an adjunct to my skincare regimen. The innovative collection includes the Clarisonic Mia 2 Sonic Skin Cleansing Brush with the Deep Pore Brush Head, Deep Pore Daily Cleanser and Detoxifying Clay Mask. This system is great for those of us with enlarged pores, a tendency to break out and/or congested skin. Overall, I’ve been very pleased with how gentle and effective this has been on my combination skin. 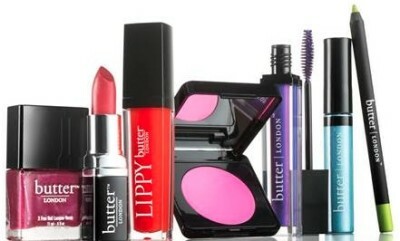 Once your skin is looking great, it’s time to add a pop of colour and a dash of pizazz to your makeup routine with butter LONDON’s new Bespoke Colour Cosmetics Collection! I’ve tried the WINK Cream Eye Shadow ($18) and WINK Eye Pencil ($18) and found them to be a fun addition to the butter LONDON lineup. The shades are bright and wear well; worth a try! If you really can’t stand the thought of leaving summer behind, Bath & Body Works Pure Paradise Collection is inspired by white sand, blue skies and turquoise waters. The Shower Gel, Lotion and Fragrance Mist have a tropical scent with notes of fresh Star Fruit, juicy guava and cassis and floral notes of gardenia and frangipani—lovely! If you’re still not ready to go back to “regular makeup”, then a “BB” Cream might be just what you need. 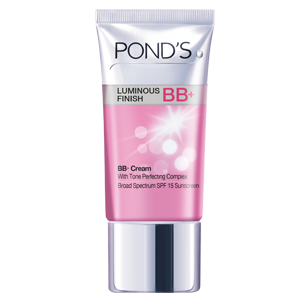 I’ve been trying out new POND’S Luminous Finish BB+, which has a Tone Perfecting Complex to help fade dark spots and even out skin tone. 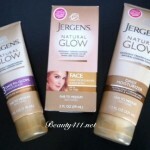 What I like about this one is that it looks and feels natural, has a matte finish and SPF 15. And at under $10, it’s affordable, too! What products do you use to stretch out summer a little longer? Let me know in the comments! 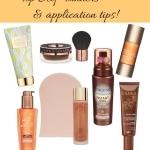 Top Self Tanners and Application Tips for the Best Faux Glow! Fake a Gorgeous Golden Glow this Winter!